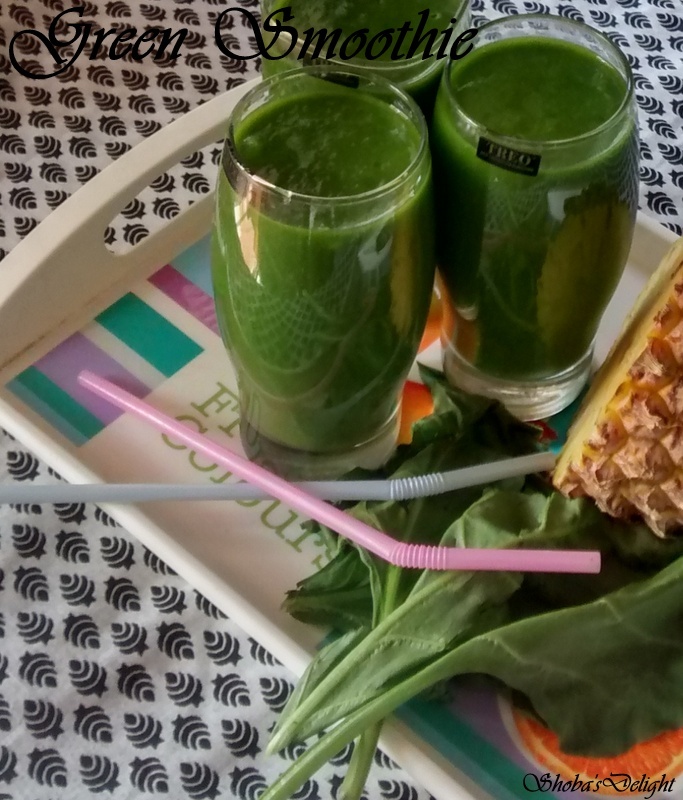 Green smoothies are made by blending large amounts of raw leafy green vegetables with fruit to soften and sweeten the taste. 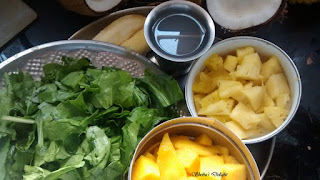 This smoothie is packed with superfoods to get more nutrients into your smoothie.These smoothies are naturally dairy-free, using creamy fruits like bananas, mangoes or papayas to give them a smooth texture. 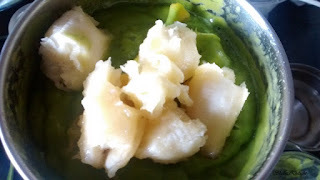 It is easy to make and is loaded with all kinds of good for you ingredients. This smoothie is also great for breakfast. Enjoy! 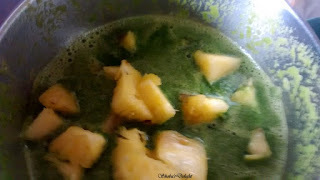 This month Shhhh Cooking Secretly Challenge introduced the new theme "Fusion" or "Any two colour ingredient " for Holi special.I have taken the colour theme and played with coloured fruits and greens.My partner is Avin S Kohli who gave me the lovely two ingredient as green and yellow. 1. 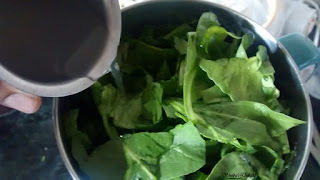 Cut all the fruits and keep aside.Prick the spinach from the stem and wash it properly. 2. I used the coconut water from normal coconuts. Put all of the fruits in a blender and puree until smooth. Mash the banana and blend everything. Pour in an air-tight container and freeze. Make sure you take the smoothie out of the freezer about 30 minutes before you want to drink it.You can also store the smoothie in the refrigerator.